Below is the editorial written by Hazrat Sheikh Yaqub Ali Irfani, may Allah be pleased with him, in the very first issue of Al Hakam on 8 October 1897. The state of the press and media in India at that time is key in understanding the journalistic climate at the time of the launch of Al Hakam. It is surprising to see that although media has developed dramatically over the last century, the debates remain quite similar, and so do the challenges. The ethos behind the launch of Al Hakam today remains the same and will, Insha-Allah, remain so. Hazrat Sheikh Yaqub Ali Irfani r.a.
Al Hakam, declaring “On Allah We Trust”, comes to the stage of journalism to fulfil its duty. But before it starts to play its part, it is better that certain matters are explained as an introduction. The history of the newspaper, or journalism, cannot be put down in a few bullet points on a couple of pages. So it was deemed necessary that only important points be brought to everyone’s attention here. In this age of awareness and progress, the need to discuss newspaper and its philosophy is quite valid because the need for newspapers had turned the five essentials of life to seven. The condition of nations that claim, quite rightly, to be the fountainhead of civilisation and progress has proved that print media is the one thing that can change the fate of a nation and its peoples, as long as it is handled appropriately. Pondering over the nature and design of the human mind, we know that the factor of distinction between man and animals is intellect, which lacks in the latter. This is why animals are unable to exchange ideas which is the root cause of progression. Of the two means of communication i.e. meaningful words and written expression, the latter unveils the secret behind the creation of man and creates in him the spark of excellence, which, at a certain stage, can take him to criticise even the words of angels, or what we know as revelation. The history of India – in the times of Lord Macaulay and Charles Metcalfe – has it that intellectuals would debate on two main issues: freedom of press and censorship in Western ideas. Debates went on between the two groups. Those in favour based their argument on the fact that there was no other way to strengthen the rule of the Empire because Western education would remove prejudice and stubbornness from the hearts of religious leaders, resulting in their people accepting the rule of a nation that is alien to them in custom, culture, religion and civilisation. Those against were of the opinion that Western education, combined with freedom of press, would ignite in the Indian peoples a desire for freedom resulting in them knowing their rights and demanding self-rule. Anyway, after a great deal of argumentation, Sir Charles Metcalfe and his accomplices, who were in favour, proved victorious. How their victory was celebrated and how Metcalfe was given votes of thanks, we ought not to go into detail. In short, Western education was formally introduced and Indian press felt the breeze of freedom. The native press, however, was unfortunately accused by some Anglo-Indians to intend rebellion against the government. That resulted in a particular circle, with the support of some Europeans, turning against the vernacular press. The dispute remained unresolved for many years. Then came the time of Lord Lytton, but the attitude of the press, the need of time and a bit of his own bias all turned against the freedom of press and the freedom was no more. This brought about displeasure, but then started the rule of Lord Ripon as viceroy, which is known for a number of blessings that it brought. That honest and just ruler returned the lost freedom to the vernacular press and the press benefitted from it and continues to do so. The climate again seems to be turning in an unfavourable direction with the question of freedom again being discussed, but to be honest, the press is also to be blamed for giving way to such thoughts. If the press used this freedom fairly, the government would not have had to intervene. The press calls for trouble but it is good that it is now becoming cautious and is fixing itself. We have had to briefly describe historical facts about the freedom of press, which has kept us from coming to the point of introducing Al Hakam. Undoubtedly, journalism is a noble and respectable profession. As mentioned above, journalists go so far as criticising the messages brought by angels. This leaves them with great responsibility that cannot be fulfilled by an ordinary mind, rather it asks for a mind that is naturally gifted. The current state of journalism in India does not need my remarks to describe it, but if appropriate, we will write articles to discuss the factors leading to its current state. For now, we only need to introduce Al Hakam. Since divine knowledge and divine law are the fountainhead of true civilisation and reform, Al Hakam has taken upon itself the heavy burden of spreading truth and peace in the world through these. The method that is closest to human nature, as suggested by sound reasoning and experience, is Islam. Therefore Al Hakam will be a true servant of Islam. 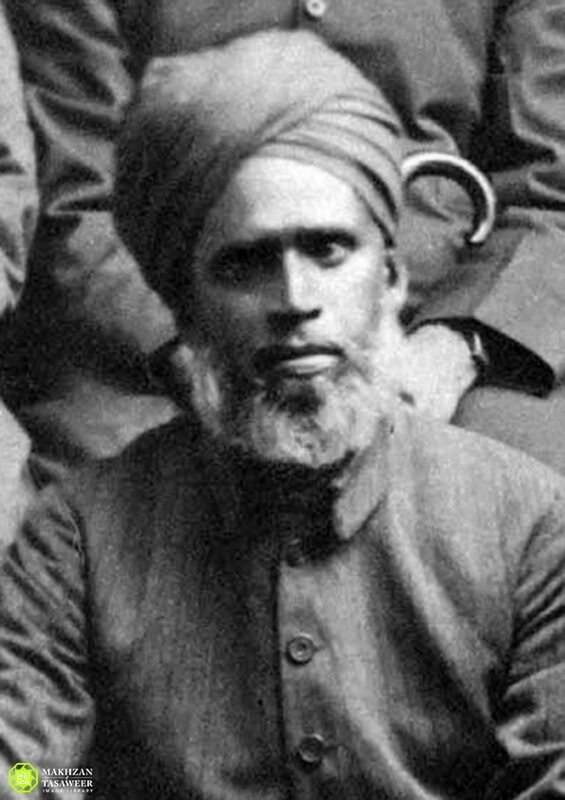 The Merciful God Himself has, by His tradition and promise, appointed Hazrat Mirza Ghulam Ahmad of Qadian, peace be upon him, as the manifestation of the hidden and living treasures of Islam in this time of spiritual famine; the propagation of his mission will be the primary objective of Al Hakam. I would never have launched Al Hakam especially in the given dire state of the native press. It is beyond my understanding how a very powerful inspiration led me to launch it. Our opponents are raising such allegations against us that have the potential to leave other Muslims and the government in doubt about us; to reply to such allegations, there is no better way than Al Hakam. Finally, we hope that our readers will take Al Hakam to be their representative and encourage us through their valuable suggestions. We have committed to be at peace with everyone as our very mission is nothing but peace and harmony. We hope that Al Hakam will never disappoint our readers.